Millions of students are heading back to school. ShopRTO.com offers these tips to make the best of returning to school on a budget. Shop RTO releases its “Back To School Tips On A Budget” for the best way to prepare for the upcoming school season and how rent to own home furnishing stores may be an option. Shop RTO reminds all parents that the school season consists of non-stop activities and with proper preparation, the transition can be smooth. Shop RTO explores each room in the home that is vital to the school season. For home studying, experts recognize computers as one of the most important learning tools. Even at kindergarten. Shop RTO recommends to make sure all apps and programs are updated to their latest version. Many users ignore update alerts until it is too late when one has to pay for the most recent version because they no longer are compatible. Computer technology advances rapidly leaving the user constantly needing to stay updated. For low income families, that creates a digital divide leaving those students at a potential disadvantage. Renting to own computers is one way families address the issue being able to rent computers at a low weekly or monthly price. Shop RTO recommends if families go the rent to own option, try to exercise the early purchase option as quickly as possible to make the final price as affordable as possible. Preparing the student’s room is also critical. Make sure to thoroughly clean the room as well as bed sheets, pillow cases and blankets. Be sure to wash and iron all school clothes prior as well. The student’s room should also be decorated to the student’s liking. Whether posters, paintings, photos, etc. Plants and lighting are important. Studies show plants are good at lowering anxiety. Lighting should contain three vertical tiers of lighting. With ceiling light, a standing lamp then desk lamp. Lighting is good for studying and creates a calm ambiance. If the room is small, such as a dorm room, then use two tiers of lighting. It’s important that students get good and healthy meals. School breakfast and lunches can get expensive. Try to use Sundays to prepare large quantities of quality cooked meals to refrigerate or freeze for the next week. Experts say try to avoid frozen foods. Some easy dishes can be soups, pizza, beans and chilli. Pizza crusts can be bought at the store. Tomato sauce is easy to prepare then store bought cheese and vegetables. Chilli and soups can be filled with all sorts of vegetables and is easy to freeze for later uses. Home made pinto or black beans can also host a variety of fresh vegetables. Beans can be blended to create beans for burritos, chalupas and nachos for easy, quick and fresh dinners as well. Each of these dishes are traditionally garnished with fresh tomatoes, lettuce, onions and peppers. Preparation with technology, a prepared room and week long menu can make the school year manageable, healthy and productive. Shop RTO also reminds families that each room’s furniture can be upgraded at an affordable monthly or weekly price through local rent to own stores. 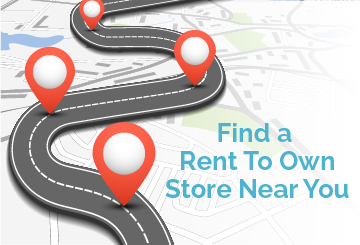 If families choose to shop at a rent to own store, make sure to follow Shop RTO’s best shopping tips to ensure that the family makes the purchases as affordable as possible.